The clients of this residence desired an eclectic, well-traveled look for their living spaces. 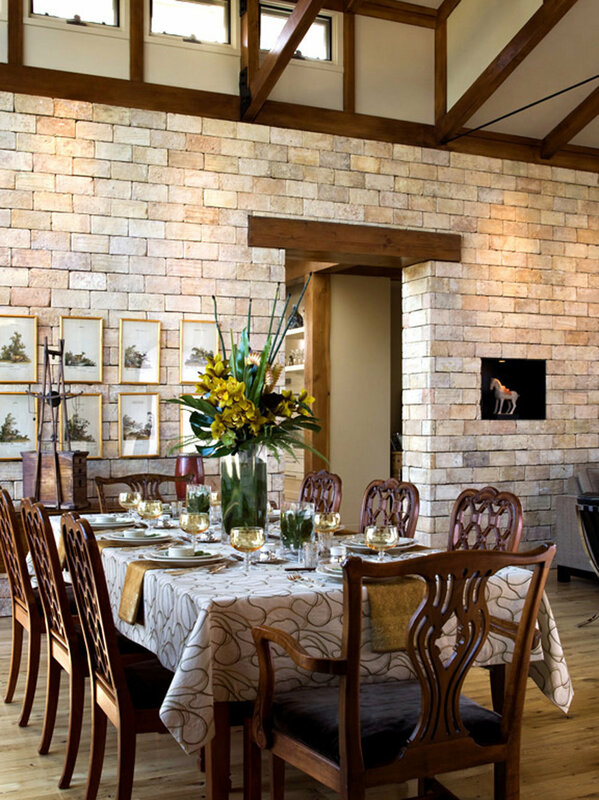 Antique elm dining chairs were selected in the Dining Room to coordinate with the door framing and clerestory windows. Bespoke linens were custom made to coordinate with top stitched upholstery seats. Napkins were custom made from Indian Saris to coordinate with vintage amber glassware. The floor featured a custom Kyle Bunting rug, and the vintage credenza was appointed with one-of-a-kind antiques and accessories from around the globe. The Family Room was designed for casual California Lagoon living including a mix of hand-made pottery, custom pillows, and accessories with a Pan-European twist. The Outdoor Spaces adjacent featured an eco-friendly gas fireplace, weatherproof furniture with Sunbrella fabric, and accessories to provide outdoor refreshments for guests that stopped by on paddle-board. The Living Room was arranged for quiet conversation. Custom pillows, and accessories were added with an Asian flair to unify with the spaces adjacent.